Whether you’re hosting a party or bringing a potluck dish, garlic mashed potatoes deserve a prime spot on your holiday menu. They hold well for hours — just place them in a crock pot while they’re still steaming hot, set it to “keep warm,” and you’ll be able to prepare the rest of the meal or take them wherever you need to go, piping hot and ready to serve! 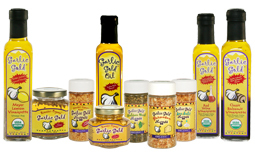 When you use our Garlic Gold® Nuggets in Oil, garlic mashed potatoes become the easiest side dish ever. Seriously, the hardest part is peeling the potatoes. 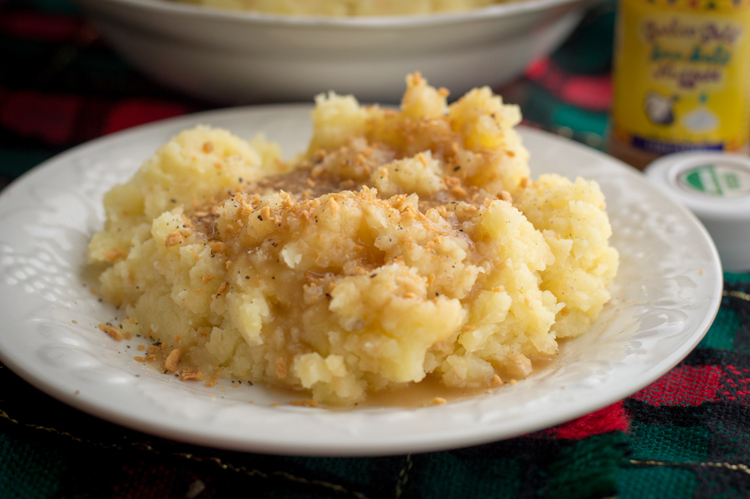 The cooked spuds are mashed with broth and Garlic Gold®, and that’s it! No butter or milk is necessary for a beautiful, creamy, golden mountain of potatoes. Just season to taste and you’re done.